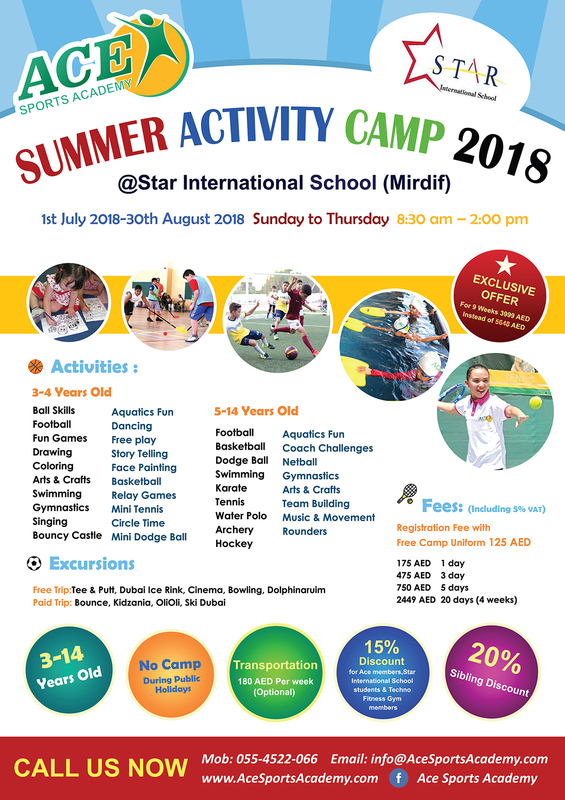 Let your child experience one of the most exciting and fun-filled activity camp this winter as we are pleased to offer Ace Winter Activity Camp happening here at Ace Sports Academy to students age ranges from 3 to 14 years old . 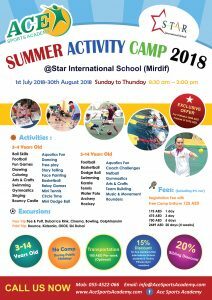 We promise 4 weeks (2nd July -31th August 2017) of exciting field trips, fun multi-sports activities, happy moments to be remembered, experiences to learn and lasting friendships. Hello,please send me more details or give me a call.